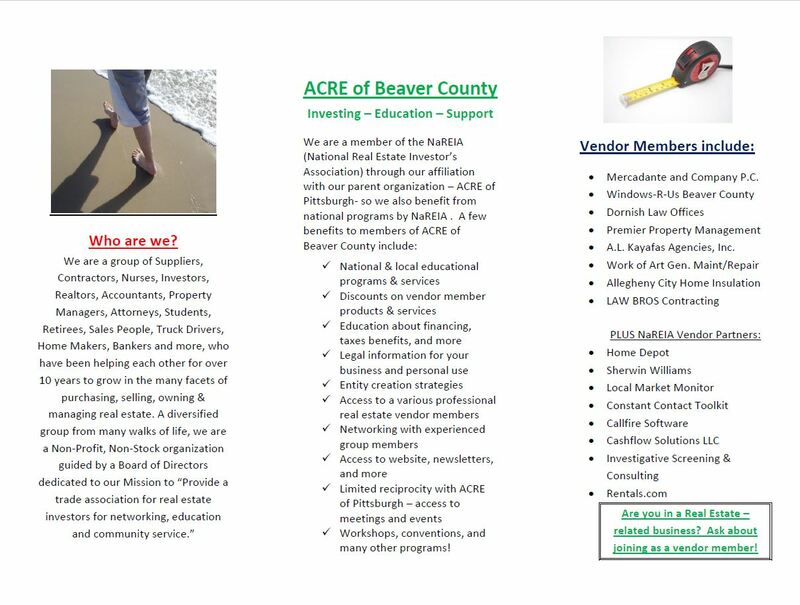 Click this link to open, view, and print our Tri-Fold Brochure. 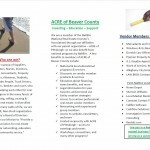 ACREBeaver Tri-Fold Brochure – revised 11-12-15. 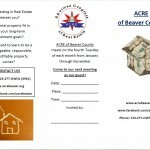 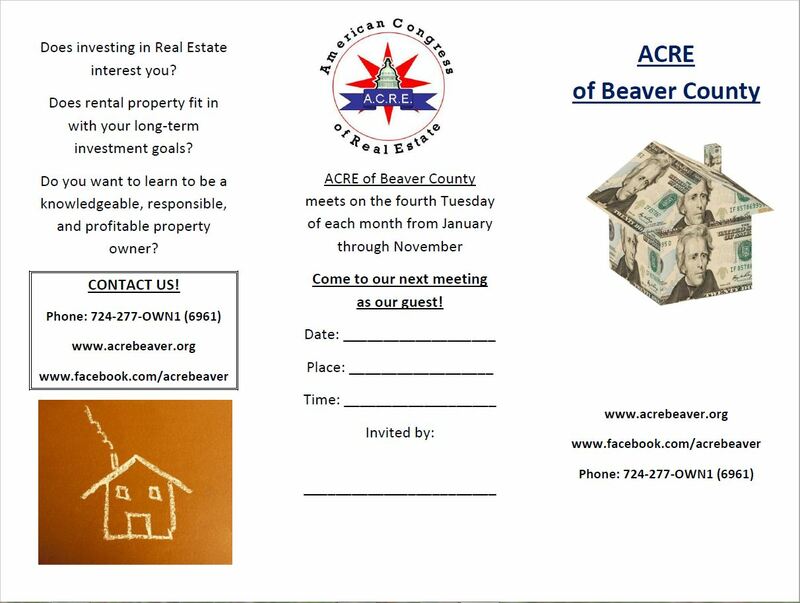 Share it with other who can benefit from the educational programs and networking opportunities available through ACRE of Beaver County!